Initials, monograms, messages, and inscriptions on jewelry can all be considered ciphers. These can be intricate designs involving letters and symbols are carved, enameled or applied to jewelry. Alternatively, a jewelry piece may be composed entirely of the cipher. Watches, lockets, brooches charms, compacts, cigarette boxes, lighters and other accessoire often feature a cipher either within the design proper or on the reverse or inside. Popular in memento mori jewelry, they were often woven in gold wire and capped with a crystal or gemstone. Signet rings from all time periods and cultures usually feature a prominent cipher. 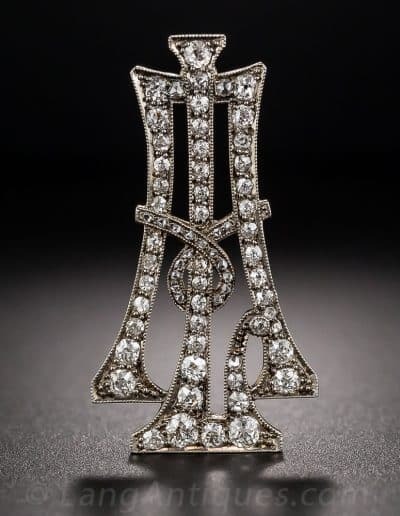 Retro examples can be found in Trabert & Hoeffer-Mauboussin “Reflections” jewelry where the entire design is composed of stylized initials. 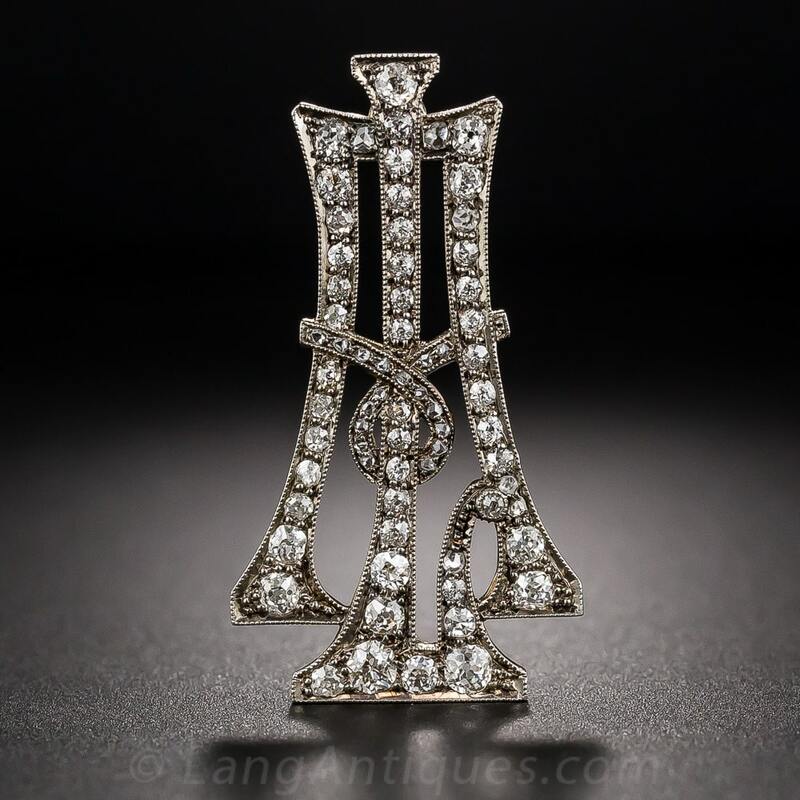 Antique Diamond Cipher Brooch – L.A.